With our nation in one of the most heated conversation on issues of race in generations, the question of the role of government in resolving some of our most persistent economic and social challenges have emerged as central to local, state and national policy. How local governments respond to the myriad of pressures they face from federal initiatives, divisive political debates and unprecedented demands by residents will help shape the direction our democracy takes in the years to come. This is truly a decisive moment in our country’s continuing evolution on issues of race, class and culture. Fortunately, local governments can make a coordinated response. The Government Alliance on Race and Equity (GARE) is a national network of government working to achieve racial equity and advance opportunities for all. Across the country, governmental jurisdictions are making a commitment to achieving racial equity, focusing on the power and influence of their own institutions, and working in partnership with other sectors while building improved relationships with the community. When this occurs, significant leverage and expansion opportunities emerge, setting the stage for the achievement of racial equity in our communities. 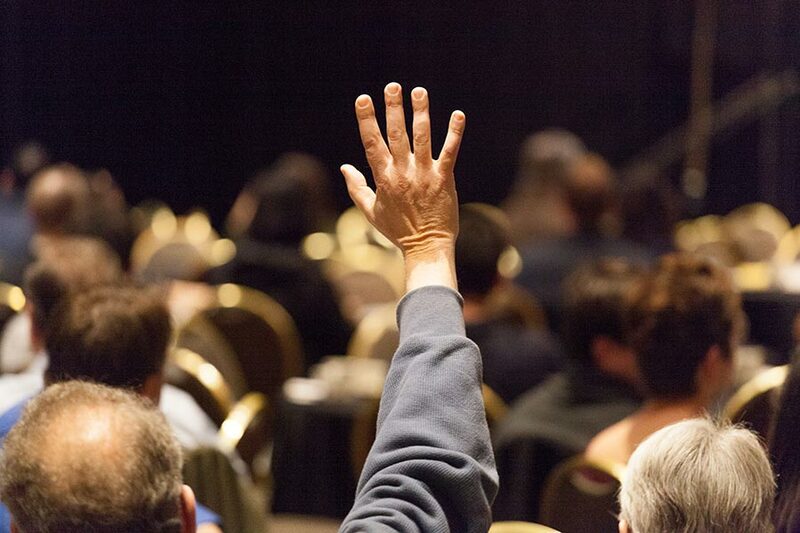 Join this three-hour, pre-conference workshop to be introduced to GARE, learn about its theory of change, and see those theories put into practice by a range of jurisdictions from throughout California and across the country. Both government and non-government attendees are welcome to participate in the session, which will align squarely with the Inclusive People and Prosperity Track during the conference. Register for this workshop by selecting it from the “Tours and Activities” page of your conference registration: Register Today! The Parklets initiative is modeled after the PARK(ing) Day movement, which inspires the transformation of vehicular parking spaces into temporary urban parks. We bring this urban green space movement indoors, with installations located adjacent to the conference session rooms that can be easily visited by conference attendees. 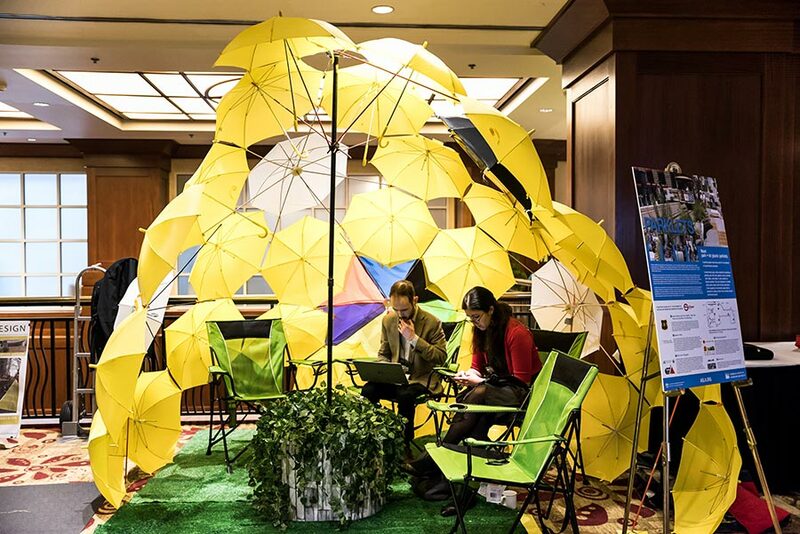 The 2018 conference will include four engaging and interactive parklets, installed inside the Hilton San Francisco Union Square Hotel. This Experiential Forest Parklet is for all ages of curious urban residents who would like to learn more about the nature that does exist around cities. In this urban forest setting, you may sit on a log as you experience plants, trees, and their natural “products.” You’ll engage with unique scents, textures, and shapes, and learn through connecting with plant and tree elements. Residents of dense urban centers can benefit from interacting with nature both passively and actively. Trees planted in the sidewalk along with their associated gardens and landscapes provide strong relief to the harsh lines and hard surfaces we so commonly experience in our cities. Accepted research shows that plantings along our streets not only slow traffic but reduce stress and provide “…decreased feelings of fear and anger or aggression.” Kathleen Wolf, Ph.D., Urban Nature Benefits: Psycho-Social Dimensions of People and Plants. Seasonal change in plants and trees encourage some to ‘stop and smell the flowers.’ For example, one may look down to see unusual winged-seeds all over the sidewalk. These tree elements offer visual relief and an opportunity to physically experience seeds, flowers, and scents by providing a connection that will be remembered, perhaps forever. The fragrance after the first rains on a street may initially be questioned and investigated, then later recognized and remembered when encountered again or shared in a conversation. Look, touch, and smell these urban forest products that are commonly located throughout the San Francisco Bay Area. Do you recognize them? Radian|Placematters has partnered with Great Outdoors Colorado to create pop-up design events for grantees that are looking to get youth connected to nature and the outdoors with projects that encourage walking, biking, and overall enjoying parks and open spaces. The Tiny Wonderful Parklet will demonstrate tools and techniques for rapid deployment of pop-up design and allow conference participants to experiment with the materials. Pop-up design uses temporary installations like playground structures, benches, art, wayfinding, plants, and street amenities (like protected bike lanes) to help users access and interact with familiar public spaces in new ways. Pop-up structures enable residents and agencies to experiment with design solutions before making them permanent while generating excitement and a sense of communal ownership behind what gets built. A community’s ability to move and connect with friends, jobs, recreation, and experiences happens in the public realm. The commUNITY station can provide the space for gathering and encourage more sustainable transportation options. The Riverside University Public Health System-Public Health and Alta Planning and Design explore the potential use of parklet’s design as bus stops. This concept comes as a result of the need to raise awareness about how communities across the nation are transforming these public spaces. In addition, the commUNITY station is intended to inspire, planners, landscape architects, engineers and health advocates to work with transit agencies to think beyond the typical bus stop. Please join us to envision the San Francisco’s Mission District by reflecting, exploring, and moving small structures. Translate your ideas into a physical reality! In early October, a series of massive wildfires struck a half-dozen Northern California counties, burning more than 200,000 acres and creating devastating urban firestorms in several communities that forced some 90,000 residents to evacuate and ultimately destroyed 5,000 homes and nearly 1,000 businesses. Since then, economic and social recovery from this disaster has been front-and-center for the region’s public servants, businesses and residents in one of the most naturally beautiful spots in the world. This special session will provide an overview of recovery efforts in the City of Santa Rosa and Sonoma County, and offer perspectives on the region’s future, especially the creation of new housing. Santa Rosa Mayor Chris Coursey and Tennis “JT” Wick, Sonoma County’s Permit and Resource Management Director, will describe post-fire activities and how those responses fit within the broader pre-fire, housing-affordability crisis in the area. Laurie Johnson, Principal of Laurie Johnson Consulting and an international expert on disaster reconstruction and the economics of catastrophes, will provide additional context to these disaster-recovery efforts by looking at the massive loss of housing stock that occurred after other major disasters.